The enthusiasm with which the municipalities enjoy celebrating their holidays is overwhelming among visitors who come to experience them during the summer holidays. 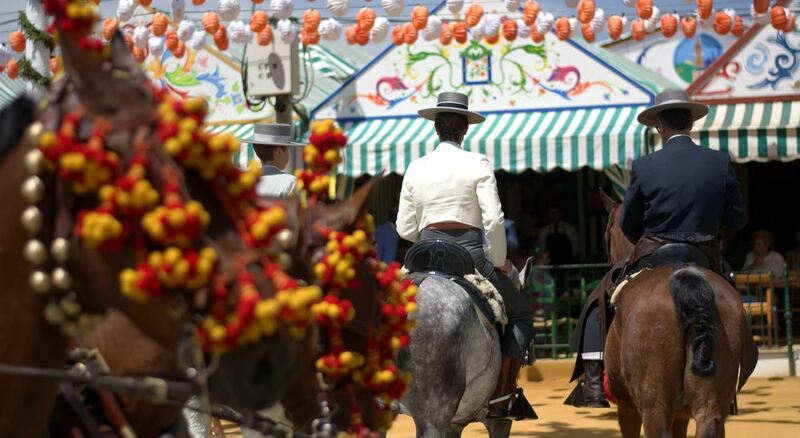 The highlight of the most famous city festivals are the black purebred Menorcan horses and their riders (called the Caixers). The annual carnival is a big celebration in almost all parts of the island, which is connected with dance performances and carnival parades. But only in the hottest summer heat does it become really eventful during the festivities in honour of the "title defenders" saints of the individual cities. At that time of the year the work in the country decreased in significance and the inhabitants could recover and eat more, both with regard to quality and quantity. The vast majority of Menorca's festivals are Christian in nature, with a touch of earthly ritual and the Arabs' enthusiasm for horses. Each town has its own individual festival in honour of its protector saints - a week of celebrations, live concerts and athletic events will culminate in a last weekend of festivities with riding processions, music and singing, and a midnight fireworks spectacle on the market square. The Sant Joan Festival (23 to 24 June) in Ciutadella is the start of all summer celebrations. The medieval festival is the most vibrant of all the festivals. On the Sunday before the 24th of June, a young farmer proclaims the feast and carries the most gorgeous lamb in the region on his shoulders, his combed fur trimmed with multicoloured ribbons. A musician joins him, the Fabioler, who with his Tabor and his recorder sets the pace for all the following events. On 23 June there is an impressive parade of horses around Plaça des Born, and on 24 June there is another parade, a mass in the church, knights' games and, finally, a fire show in Born to remember the Menorcan Resistance against the Turkish in 1558.